Mothers’ Day countdown . . .
Wow, less than 2 weeks until Mothers’ Day! 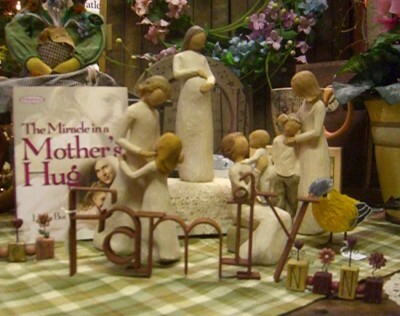 If you live nearby, you can stop in to see all the great gifts we have for Moms, Grandmoms, Aunts, Sisters, Friends . . . whoever you need a special gift for this time of year. If you want to take a peek at some of our favorites, we’ll share some photos. 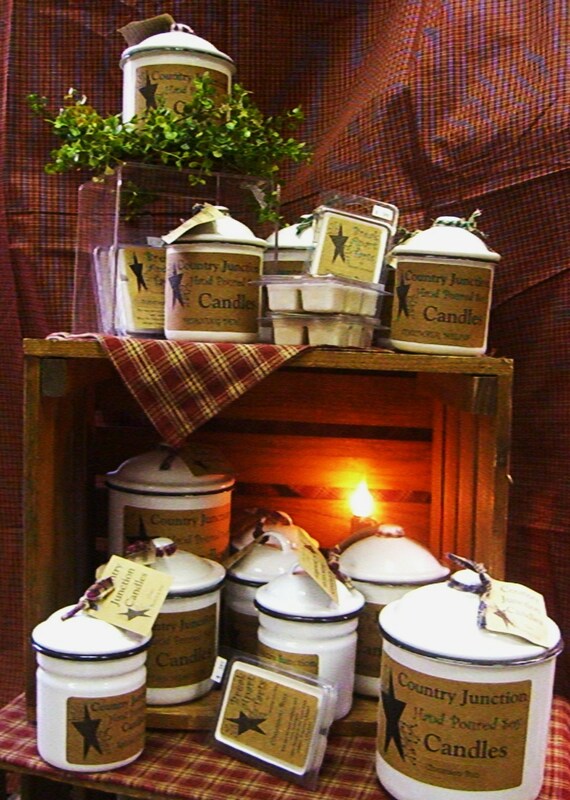 As soon as you walk into A Bit of Country, you notice the scents — how wonderful all the candles blend together to make one unique, but not too overpowering scent. 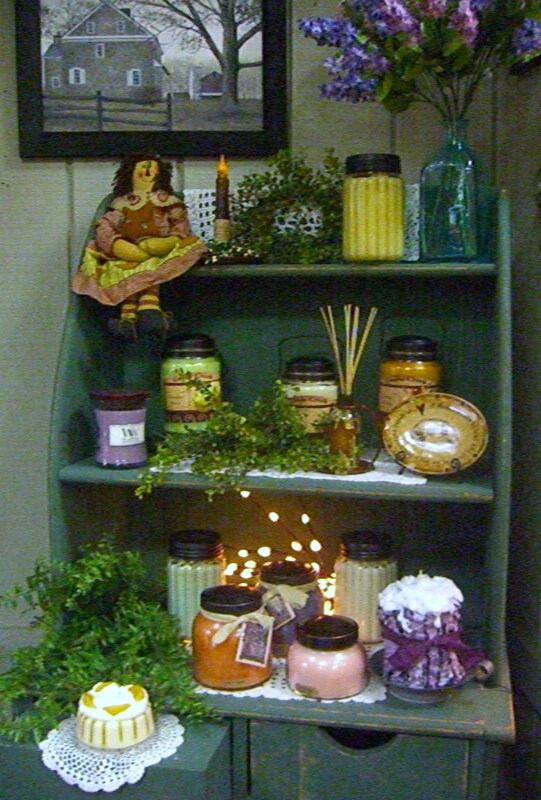 Traditional jar and cake candles, wax cookies for tart warmers and strongly scented soy candles. 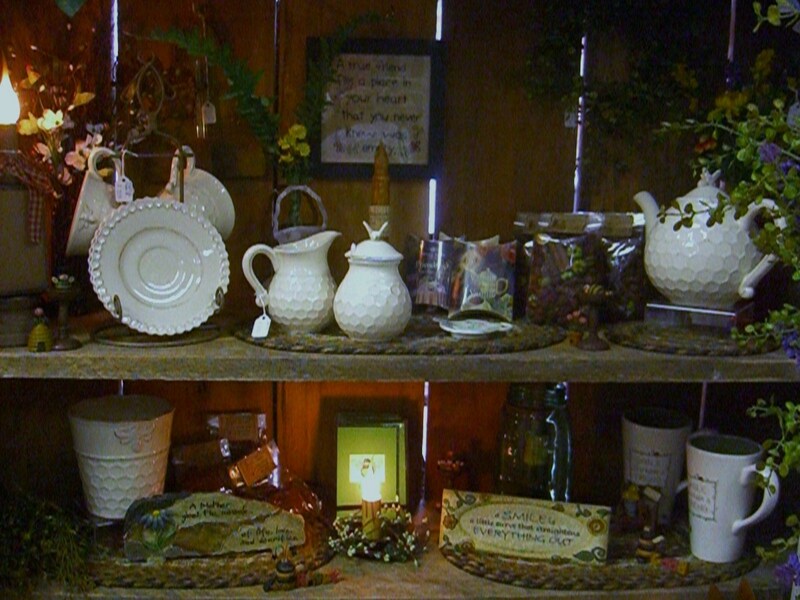 Visit the potting shed, fixed for spring with bright stoneware, florals and nearby garden flags. It sure does look like spring here! So many things to choose from . . . soaps and lotions, quilted bags and printed bags, coffees and teas, dip mixes and bread mixes. Line a basket with a tea towel and add some of mom’s favorites — sure to be a great gift! And while you are here, you may think about someone else you need to pick up a little something for. Birthdays, anniversaries, and just ‘thanks for being a great friend’ gift can be found here. Look through the greeting cards to find the perfect one to go along with your gift. Make sure you stop in often so you don’t miss out on new items that arrive everyday! And just a reminder if you are the Mom, Grandmom, Aunt, Sister, or Friend who wants something special from A Bit of Country, we do have a gift registry. Just list your favorites with us, and let your family know this is where they need to shop! Hello! This is a very nice website! I use wordpress too, so it’s like we’re related! (And we are anyway, kindred spirits that we are! ).